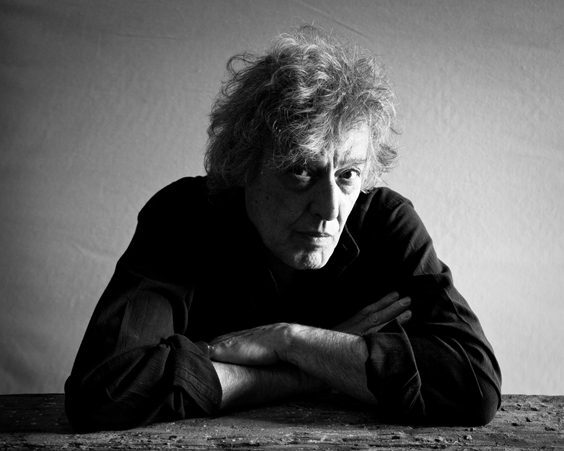 Tom Stoppard’s Tony and Olivier award-winning work for the stage includes Rosencrantz and Guildenstern Are Dead, The Real Inspector Hound, The Invention of Love, The Coast of Utopia, and The Hard Problem. His translations and adaptations include works by Lorca, Nestroy, Schnitzler, Molnar, Pirandello and Chekhov and his most recent television credit is Parade’s End. Academy award-winning film work includes Shakespeare In Love, Billy Bathgate, Brazil, and Empire of the Sun. Here, the writer tells us about the revival of his ocean-going comedy Rough Crossing, which is coming to Yorkshire theatres in 2019. What is Rough Crossing about? Rough Crossing is about a group of friends crossing the Atlantic in an ocean liner on their way to New York to stage a musical. It’s an adaptation of a play by a Hungarian playwright who, in fact, set his play in a big country house on the Italian Riviera. Rough Crossing takes his plot and puts it on the high seas in a big boat called the Italian Castle. 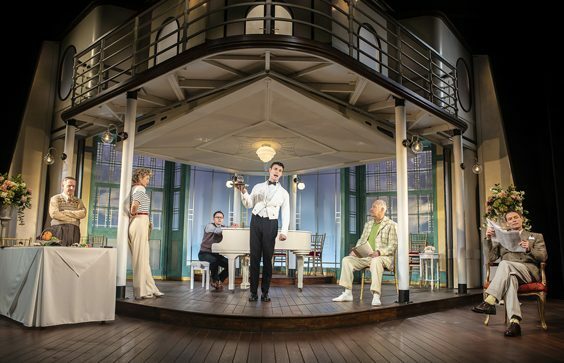 I don’t know how I got to the point of thinking it would be fun to set it on board an ocean liner instead – I think it was my idea – but you can guess that when a play is adapted from being on land to being on a boat at sea, there’s going to be all kinds of fun stuff going on which wouldn’t be in the original. What can you remember about creating the play? I really loved writing it. I’ve written translations where the idea was to keep as closely as possible to the original, but on this occasion it wasn’t like that. This was more a case of stealing a plot and writing my own play. It’s a bit of a holiday to be given the plot and the characters and be told to get on with it. How did you feel to hear Rough Crossing was being revived now? Bill Kenwright [the producer] has loved the play for years. He’d tried to get it together as a production before. There are many plays which we speak of as having a special relevance to the world we live in, and theatre would be very poor without that kind of play, but underneath everything, is the foundation of theatre, which is that it is a storytelling art form and telling stories has been part of our culture for millennia. Rough Crossing is an example of theatre which exists for pure entertainment purposes. It’s pure joie de vivre. I’ve not seen the production yet, but I have seen the set. Theatre design is one of the things that fascinates me completely because I have no visual imagination. I’m always delighted to see a clever design of one of my plays and Rough Crossing makes particular demands on a designer. It seems to me that this set for Rough Crossing has been brought off very neatly and elegantly. Putting a production together is strange, because when you’re writing, you’re very self-sufficient. It’s just you and the play and it seems to be entirely about the words on the page. The moment you hand it over and get into rehearsal you become aware that the drama, the event itself, relies on a multitude of small technical moments that have to be just right. It’s no longer just you and the text. You realise that’s what theatre is; it’s this multitude of moments which are carried by the text. How important is touring theatre? Any system which keeps live theatre alive is important. I’ve been a bystander at the evolution of how theatre keeps itself going. When I was first in the theatre we used to tour a play before it opened in London. The thing about touring now, more than ever, is it’s nothing to do with London. At any given moment there are plays being toured which exist for the sake of the tour. Going to see Rough Crossing in a proscenium arch, pretty regency theatre, is still psychologically what theatre is for, for me. Are you working on anything new for us to look forward to right now? Yes I am. I’m in the middle of quite a big play. I’ve been working on it for quite a few months now. I got distracted because I had my last play being done in New York in the autumn, so I lost three or four months on this play, but I’m back on it now. What makes live theatre such a special experience? When a play is working best, it’s like an out of body experience. The rest of the world disappears and you live in the world of the play for a couple of hours. I don’t think audiences consciously walk in saying to themselves “I hope this is one of those experiences where you forget where you are.” It’s just built into the whole transaction between an audience and a play. In the case of Rough Crossing, this play is a comedy. It’s a perfect clockwork toy, you hope, which you wind up and let go. As it unwinds you get caught up in the story and, with any luck, the laughs ambush you. Then you emerge back out into the real world and, I hope, people think “That was time well spent.” You could have spent that time being soberly instructed about something in the political world or the world of science, and that’s all to the good, but I don’t know you’d come out feeling particularly changed or buoyant in any way if you haven’t been told a really good story worth the telling.